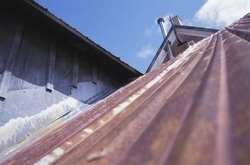 Reclaimed rusted tin is an environmentally friendly material. With the current trend toward sustainable building, renovating and recycling projects, rusted tin is in style once again. 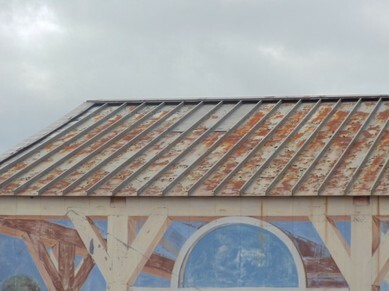 Warehouses are filled with salvaged panels, and although the reclaimed rusted tin cannot be customized like new panels, the product retains its quality and beauty while offering a bit of history. 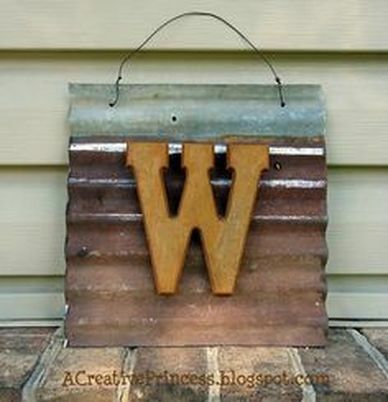 For decorating purposes, reclaimed rusted tin is used for country, primitive and vintage decor. Decorative items include pails, buckets, tubs, candle holders and miniatures. Often, decorative rusted tin items are created to be one of a kind with individual characteristics. The rusty decor items include butterflies, hanging rusty tin leaves, tree toppers, birdhouses, towel racks, garlands, bells, planters and reproduction skeleton keys. 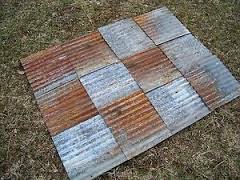 Different styles of reclaimed rusted tin are available. Corrugated rusted tin is used for siding. According to the Antique Woodworks website, the corrugated tin is a classic choice for seafood restaurants. Another option is pressed flat panels that are about two feet wide and range in length from four to 12 feet, with most panels being 10 feet long. Rusted ceiling tiles are also available with reproduction patterns in 12-by-12 inch tiles and 8-by-8 inch tiles.